A cappella Publisher Desc. 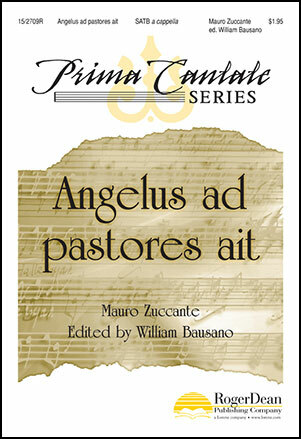 This wonderful Christmas motet by Italian composer Mauro Zuccante is written in ABA form with a short concluding "alleluia." The A sections are rhythmic and festive with the contrasting middle section setting the voices "like distant trumpets" and evoking reminders of the proclamation of the holy birth.